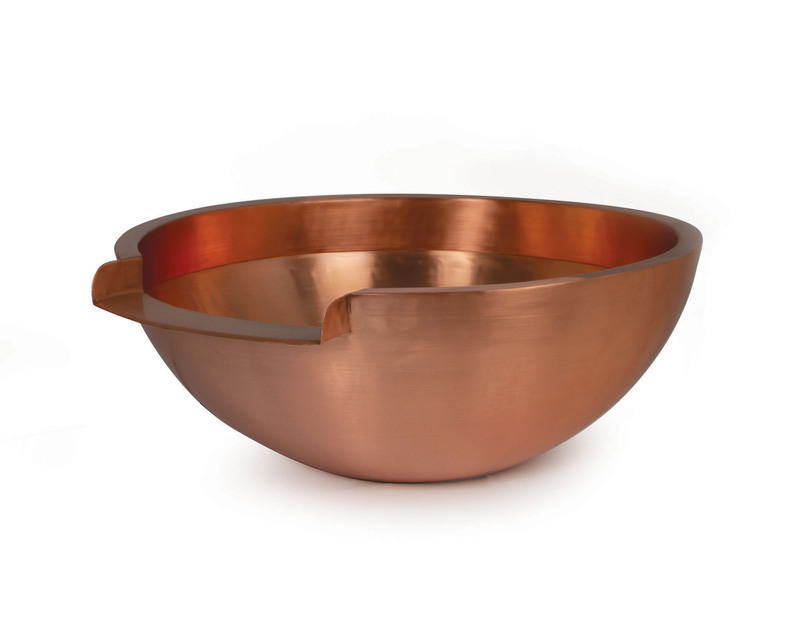 • Solid Copper Pedestal accessory allows bowls to be elevated 8"
Copper Bowls lend themselves to a number of lighting options. 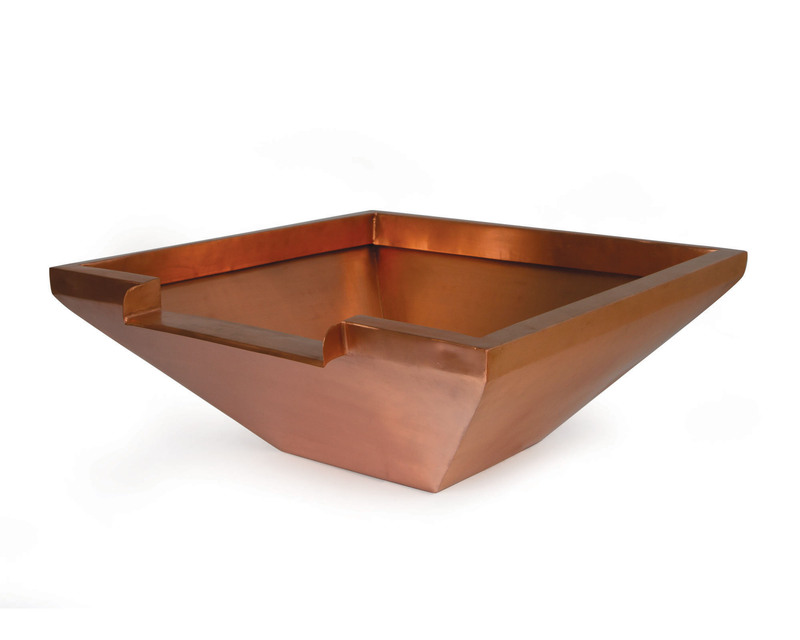 Spotlights are a great way to accent water overflowing the 36" Copper Bowl or the concentrated flow from spillways. 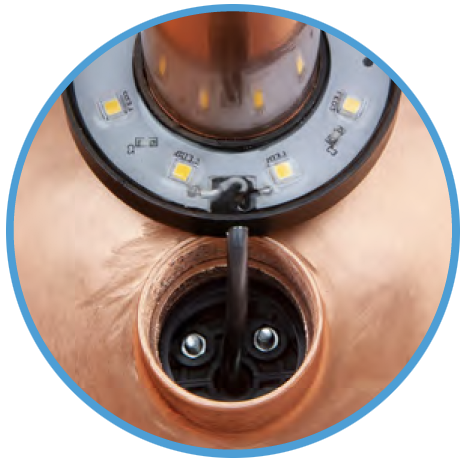 Inside the bowl, the submersible Ring Light creates rippling uplighting effects on overhanging trees or structures. Atlantic’s unique Cord Seal Fitting makes lighting inside the Bowl possible without a visible cord coming over the edge. The rubber fitting installs inside one of the two 11/2" FIPT inlets, and when tightened expands, sealing the cord and the inlet.